The National Pest Management Association (NPMA), a non-profit organization with more than 7,000 members from around the world, was established in 1933 to support the pest management industry's commitment to the protection of public health, food and property. 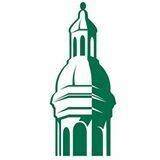 This commitment is reflected both in the continuing education of pest management professionals and the dissemination of timely information to homeowners and businesses. Cooper Pest Solutions is a member of the New Jersey Pest Management Association.The NJPMA provides members with training, comprehensive treatments and the latest technology so members can achieve the best possible results. Cooper is a QualityPro member which is the pest control industry's leading certification and available only to NPMA member companies. Copesan is the largest North American organization dedicated to delivering pest management solutions for multi-location commercial clients. Cooper is a member of Community Associations Institute. CAI provides information, education and resources to the homeowner volunteers who govern communities and the professionals who support them. CAI members include association board members and other homeowner leaders, community managers, association management firms and other professionals who provide products and services to associations. The Princeton Chamber of Commerce was established in 1959 and is actively committed to advancing the welfare of the Princeton Region and promoting an environment for economic growth by providing for our network of 900+ Members and 1700+ contacts. Cooper Pest Solutions is a proud member of the Building Owners and Managers Association (BOMA) in both the New Jersey and Philadelphia chapters. 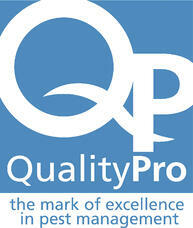 We are dedicated to providing property managers with quality service that helps them succeed. Cooper is also a member of IREM, The Institute for Real Estate Management. IREM is an international community of real estate managers dedicated to ethical business practices, maximizing the value of investment real estate, and promoting superior management through education and information sharing. 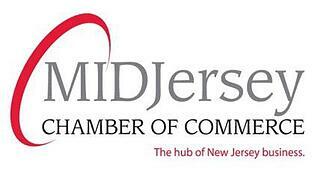 Established in 1868, the MIDJersey Chamber of Commerce is the first Chamber of Commerce in the State of New Jersey and the third largest. Their focus is the Central New Jersey region; north to Lambertville, south to Mt. Laurel, west to Bucks County, east to Freehold and beyond.